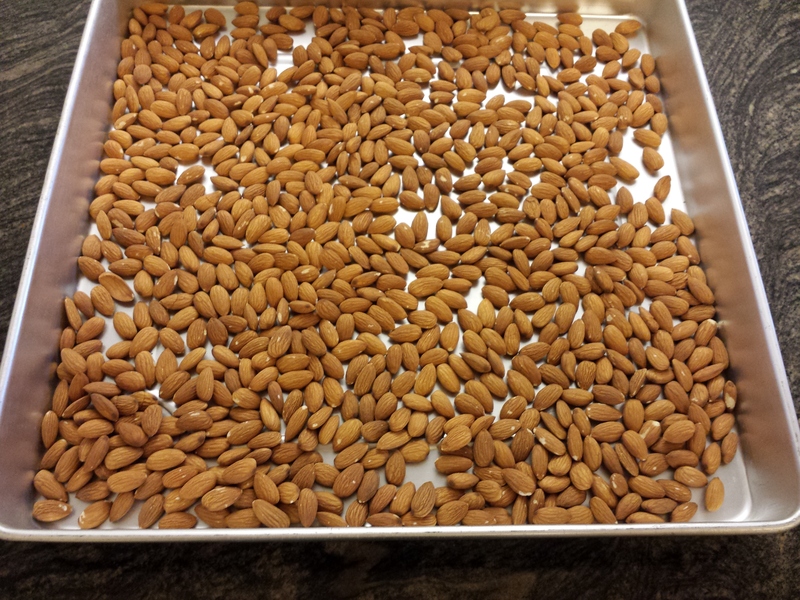 A couple weeks ago I roasted a batch of almonds and posted pics, and was asked repeatedly about how to do…so here it is, just slightly delayed until the next batch. 1. Preheat over to 350 degrees (conventional) or about 325 degrees for a convection oven. 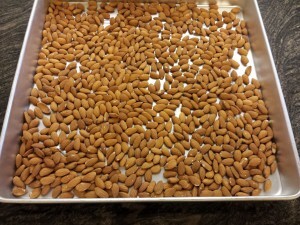 Arrange your raw almonds in a single layer in a baking pan. 2. Bake for about 20 minutes initially. While that is going on, mix up your seasoning. 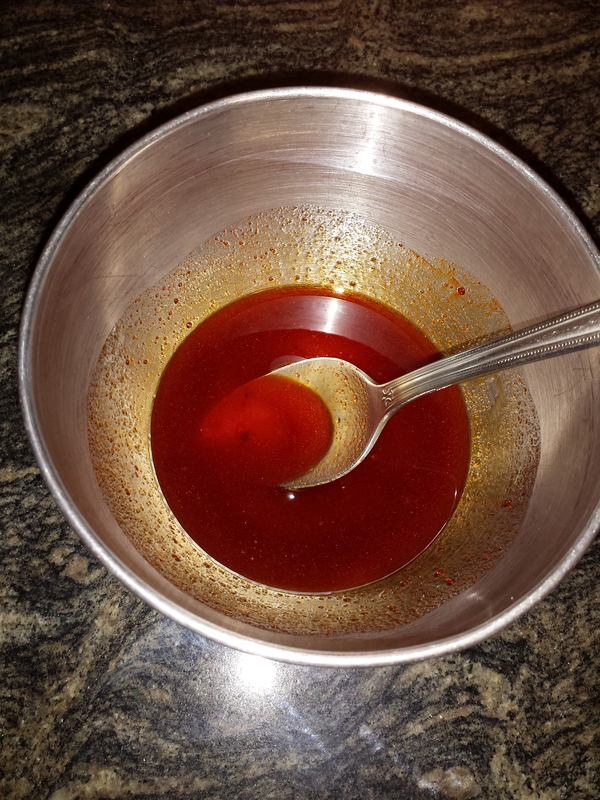 For this batch, it is: a little olive oil, honey, and smoked paprika. 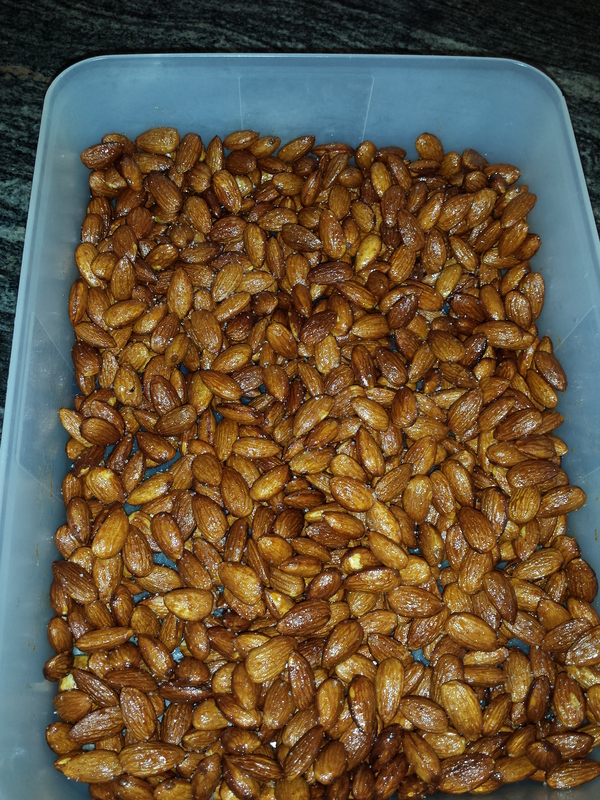 You’ll use far less than you might think, since the purpose is just to thinly coat…all total, this was maybe 2/3 of a cup to cover a 13×13 pan full of almonds. Can do without the olive oil too, I suppose…I think it helps coat better, and adds flavor if using a decent olive oil. 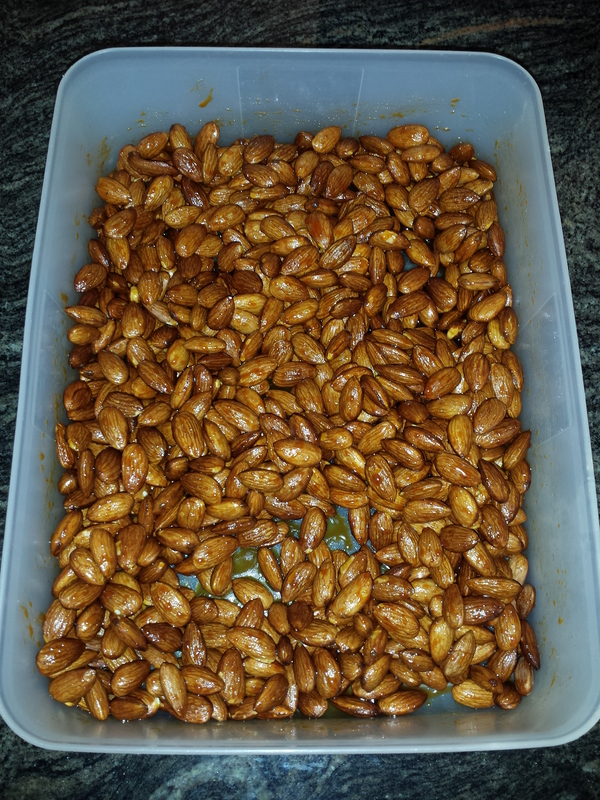 But play around, maybe doing smaller batches initially…this is more art than science. But do not add in the salt yet. 3. 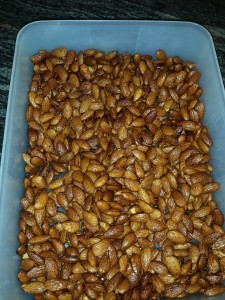 After that 20 minutes is up, check the almonds by snagging one, letting it cool a bit, then breaking in half. Should be light brown throughout. 4. When done, remove from oven and place in a mixing dish, pour in your seasoning, and mix. 5. The key…is using a paper bag for the next part. Dump the contents into a brown paper bag to help soak up the excess liquid (or in my case, the olive oil!). 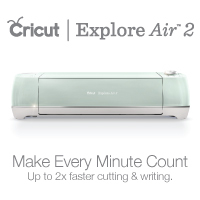 Will remove without having to blot with paper towels or something similar…and does a better job by far. 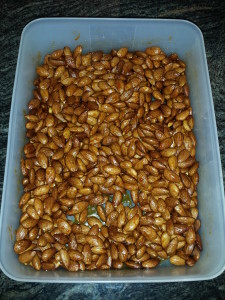 During that time, I’ll leave sit in the bag for a bit, wash the dish that I mixed in, then dry it to pour back into. Roll down the top of the bag, and shake it repeatedly. You’ll see the oil/liquid start coating the bag. 6. Dump out into a dish, sprinkle in the salt (I like sea salt for this), mix, add in a bit more to taste, then let the batch sit for a bit…both to cool and to finish drying. If you used honey or sugar in seasoning, they may clump together…just leave out overnight to dry, and mix up to break them apart.